QOF indicators for depression over-simplify case-finding in patients with long-term conditions and may adversely affect quality of care, research suggests. Researchers from Manchester University found QOF depression screening questionnaires in consultations for CHD and diabetes encouraged a ‘reductionist’ approach to detection. The findings, collated from interviews with clinicians and patients, suggest the QOF may have led to a ‘more bureaucratic and less engaged approach’ to identifying depression. Patients with chronic health problems are twice as likely to suffer from depression as the general population, the researchers noted. Depression remains under-detected in primary care, they added. Although QOF indicators for depression were introduced in 2006, antidepressant prescribing remains lower in patients with long-term conditions than in other patients. Previous work also claimed GPs lacked confidence in diagnosis of depression in this group of patients in particular, although the reasons are unclear. Researchers conducted in-depth interviews with 19 healthcare professionals mainly from primary care, seven services users and three carers. Depression tended to be ‘normalised’ in the presence of long-term condition in primary care. Interventions should be rethought to encourage a more collaborative approach to depression in these patients, they said. 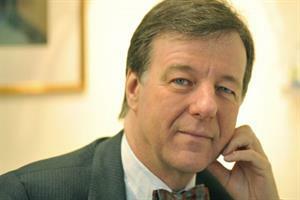 GPC deputy chairman Dr Richard Vautrey rejected the researchers' conclusions. 'I don't believe that QOF encourages a reductionist approach at all, and it shows a lack of understanding of the way QOF works,' he said. Dr Vautrey said the QOF had helped focus part of the review of a patient with long term conditions on mental health. The 2011/12 GMS contract has reduced funding for depression indicators but kept original wording.